As a business professional, you know how important it is to look presentable and elegant at your first meeting with a prospective client. The first impression can often be the gateway to a mutual profitable relationship. 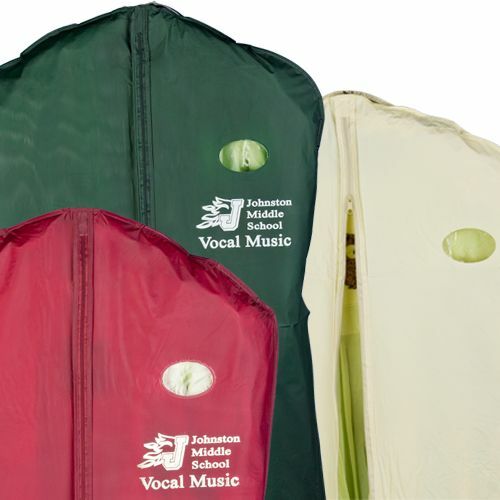 We acknowledge this and so, here we are with our taffeta PVC imprinted garment bags product range to provide you with the pristine and crease free look. 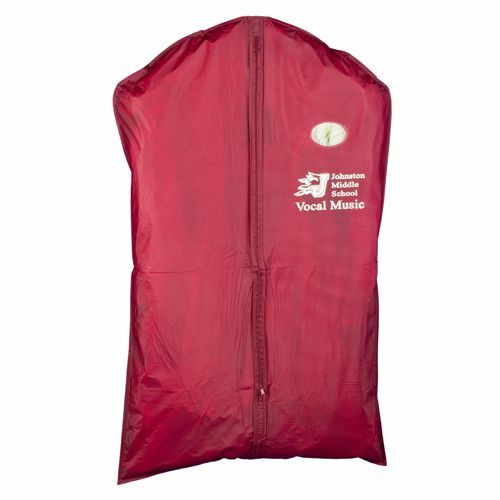 Made from high quality taffeta PVC fabric which offers superior durability and reliability as compared to other similar products available in the market. 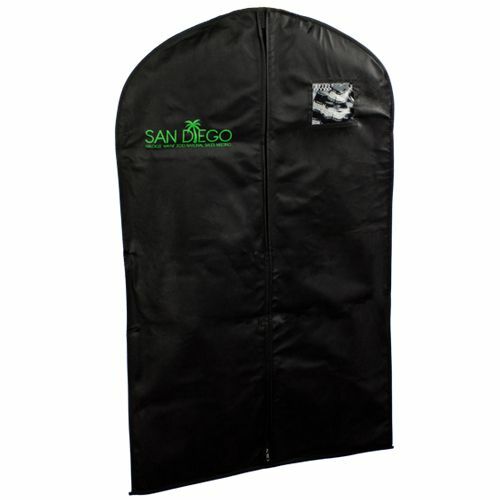 Available in different sizes to match the trim of your suit and keep it wrinkle free. Easy to carry on your travels. 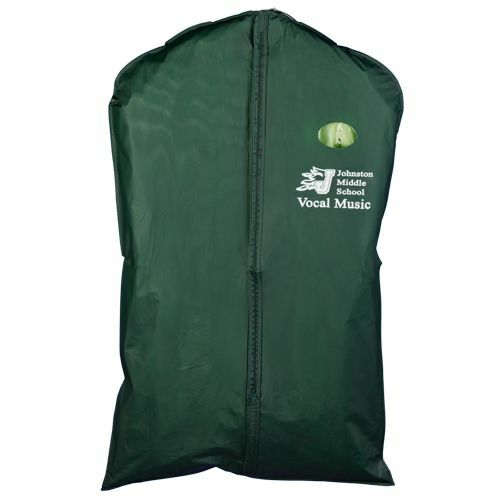 26 X 44 X 3"
Our imprinted garment bags can be customized with a logo of your choice. Just provide us with the graphics and add your signature identity to your suit game. 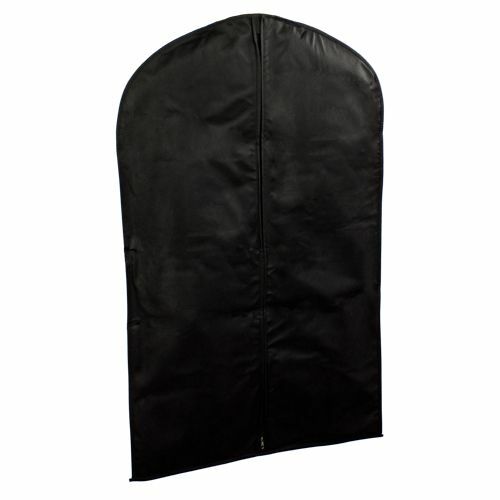 The Taffeta PVC imprinted suit bags also helps to protect your dress from dust and sunlight fades. Choose the color and logo that you prefer. 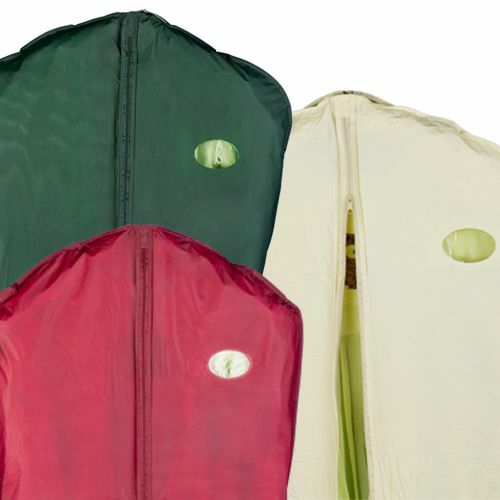 Stitched seams for robust handling.